My girlfriend bags on me for wearing a puffer jacket—even when it's cold. What do I wear with it to make it look okay? It may be getting cold outside, but warm and stylish aren’t mutually exclusive. Your puffer is by no means a no-no, plus it works for more than just laid-back weekend wear. Here are three different ways to style your puffer this season. Here’s how to style your puffer jacket. 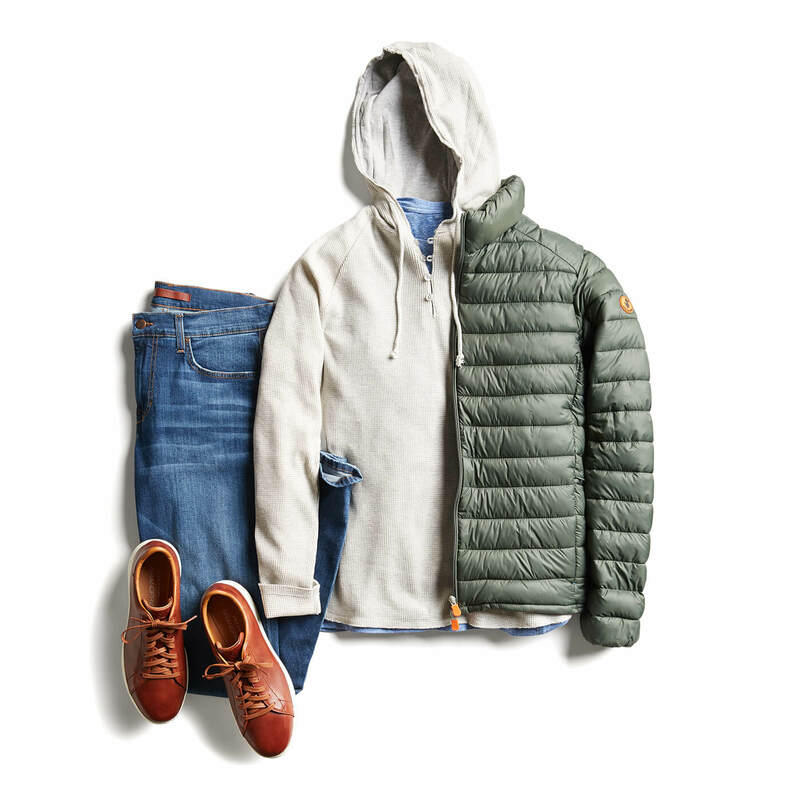 Layer your puffer over your go-to jeans and tee. Elevate with a cool pair of leather sneakers and add some extra warm with a fleece or hoodie. This is the most chill way to stay warm. There’s no reason to ditch your puffer jacket during the workweek. 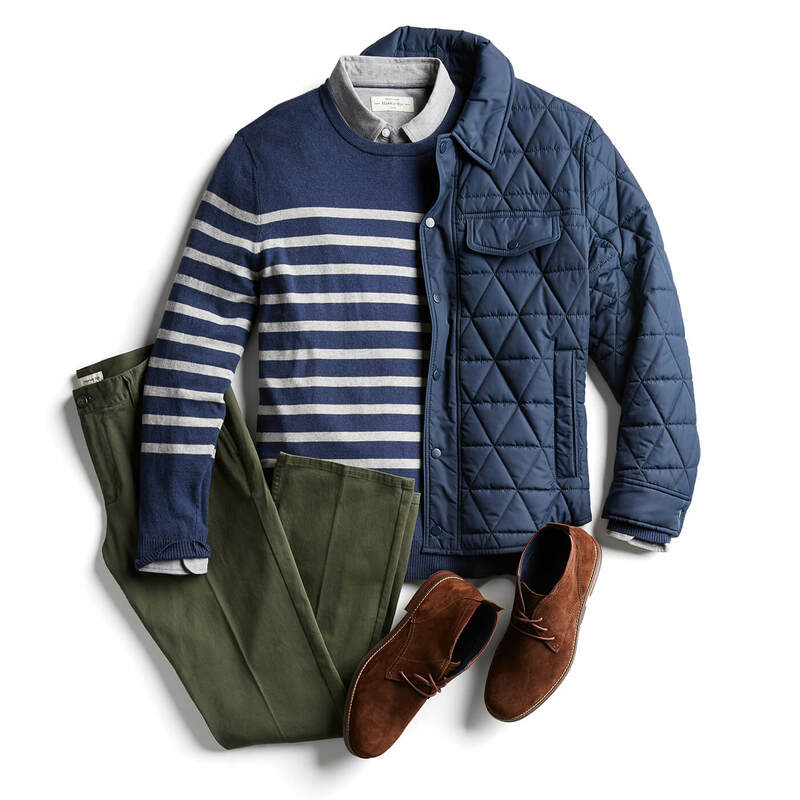 Stay neutral (and more work appropriate) with a navy or grey puffer jacket worn over a printed button-up, stretch chinos and chukka boots. Pro tip: Opt for a “less puffy” puffer jacket for the office—like one with a quilted pattern or less filling. Ready to push your puffer to the limit?Try a puffer-bomber hybrid on for size. 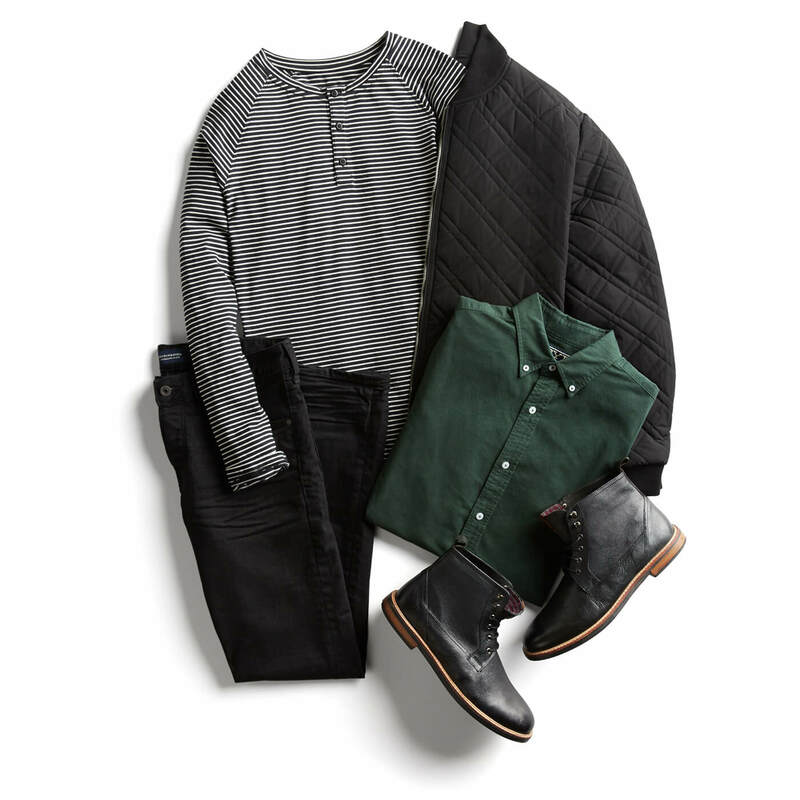 The rest of your outfits should stay tonal (like shades of grey and black) and in terms of footwear—keep it simple. Sneakers or boots will do. Ready for a new puffer? Ask for one in your next Fix.